As technology advances, more individuals and businesses are using digital art for all kinds of different things. In fact, this technology is being placed in venues where it is more readily available to the average consumer. While in the past, this type of artwork was normally considered to be in the domain of artists and graphic designers like Andy Warhol. However, it is now becoming the norm for creating artwork for a wide range of purposes. This is because there is no other method of artwork that allows its users to erase what they are creating over 100 times without damaging the final product . With this being said, there are a number of different tools on the market today that can assist people with their creative artwork. 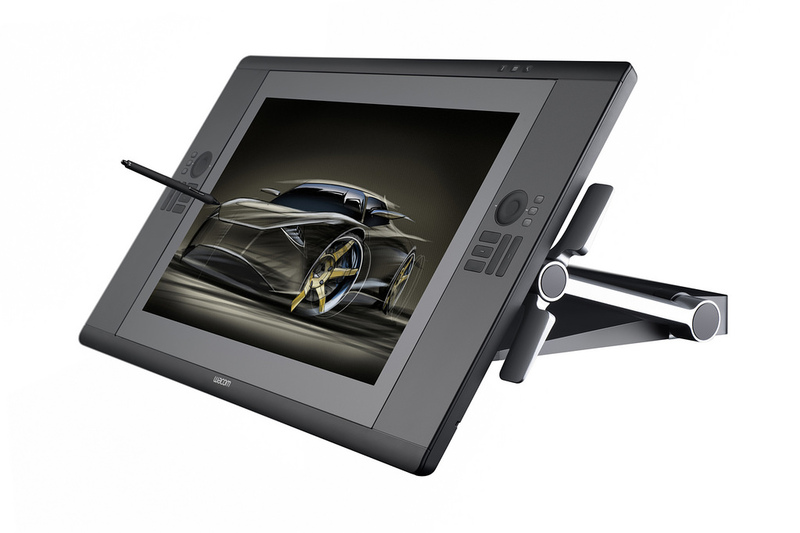 One such product in specific is the Wacom Cintiq 22hd touch. So, for those of you who are interested in what this product brings to the table and what can actually be done with it, here is some information that explains its features, the pros and the cons of its design. Designed based on pen tilt and pen-pressure sensitivity, this touch drawing tablet catches every detail you can manage to think of. Because of the dth 2200’s Ergonomic design, You can adjust the Wacom Cintiq 22hd touch interactive pen display stand to your preferred working position. Shortcuts are included to accommodate personalized preferences (i.e. ExpressKeys are on the touch pad along with the Touch Strips that activate modifiers and personalized shortcuts. Ideal size for desktop use. Accuracy can be described as phenomenal. Speed more than accommodates the actual need since markings show up on the screen immediately. With the use of the 2-3 pixel brushes that are located in the middle of the screen, the individual can be exceptionally accurate. Comes with pre-configured buttons with the option for the user to individually re-configuring the buttons as they wish. These Set-ups virtually eliminate the need for a keyboard. The stand is considered to be very functional since it is both slim, and lightweight for the most part and doesn’t really take up much desk space. There is an eraser included so Just in case you have one of those moments, you can wipe away your mistakes and nobody will ever know. A 3-in-1 cable combines USB, HDMI and power. Connectivity should never be an issue. – Comes with a 2-year warranty. The attachment for the cable does not feel sturdy, but actually, a little flimsy and a little weak, Moving the tablet around will eventually affect how it really works. For instance, if the iPod 30-pin connection is not kept steady by the user, the creative piece that the artist is working on may be a little skewed. Tracking near the edges is just a little bit off, and may possibly produce an error. This is a system problem that you should probably keep an eye on and keep track of. It seems there were some calibration issues with this item. Some people are saying that the Cintiq 22 hd touch needs a few more buttons for assigning a wider variety of Photoshop tools. I agree. People have complained and some are really having issues with the coating they used. It seems to make the images sort of grainy and tend to sparkle too much and it seems to change the vibrancy of the colors. When you get right down to it, The Wacom Cintiq 22hd touch is a great product. Many People love it, But you will always have that certain few that are able to find fault with everything. Overall this new innovative tool for both graphic artists and traditional artists alike is light weight and easy to transport from one place to another. Connectivity will never be an issue. Many people love using it because of its accuracy when creating their artwork. For those of you who are looking for the latest technology in a digital graphic tablet, that’s loaded with features. Please go to amazon.com today by clicking Here. This entry was posted in Drawing Pad Info on June 19, 2016 by admin.